As a kid, my dad would never tell me bedtime stories. He would make me tell him stories (they were about Batman; always). He taught me about adjectives, setting, plot; all the things that make stories compelling. It would be a few years till I got started in any type of visual media but the sentiment stuck, storytelling makes anything more engaging, even bedtime. What sets an image apart? So let’s face it, images alone won’t help you stand out from the crowd. Audiences the world over are being berated with constant imagery; even if most of them are just photos of your college roommates lunch. Storytelling is how you can cut through the noise. The techniques you learned in grade school used in writing or oral storytelling stay the same using visual media. Take this New Yorker cover, for example. 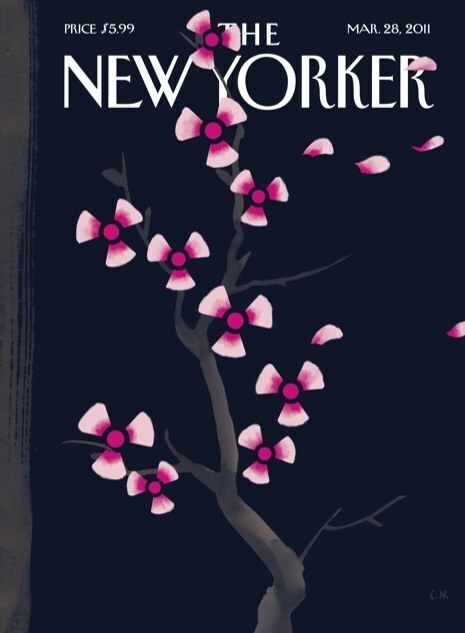 This is a piece for the March ’11 issue of The New Yorker by Christoph Niemann. Guess what happened the week before this issue? The nuclear meltdown in Japan following the tsunami and earthquake on March 11th, 2011. Apart from it’s beautiful aesthetic, it contains 3 elements of storytelling. Subject– The focal piece is a Japanese cherry blossom tree. I am not a botanist and I know that’s what the tree is called- didn’t even have to look it up. However, the blossoms are shaped to resemble the symbol for nuclear energy. This distinction takes it from just a pretty picture to a compelling and informative image. Setting– In addition to the dark background denoting the tragedy Japan had just endured and providing contrast to the bright flowers, the image also exists within the setting of historical context, adding relevance. Plot/Movement – You’ll note that though the blossoms are in bloom, a few petals are drifting off across the text. This adds interest to the image because it’s not stationary. You could even add this to the message of the piece, noting the loss of life. Niemann is renowned for his ability to turn a story into an image. This is just an example. In 2018, the average American is exposed to nearly 4,000 ads, every day. How can you take those same techniques Niemann used to craft the New Yorker cover and apply it to your organization’s messaging? Infographics – Storytelling elements can be partnered with metrics to make compelling and informative infographics. Any marketing, sales or development effort starts with educating your audience. People need to be educated on issues, options, and solutions to make a decision. The more effectively you can do that, the shorter your sales cycle will be. 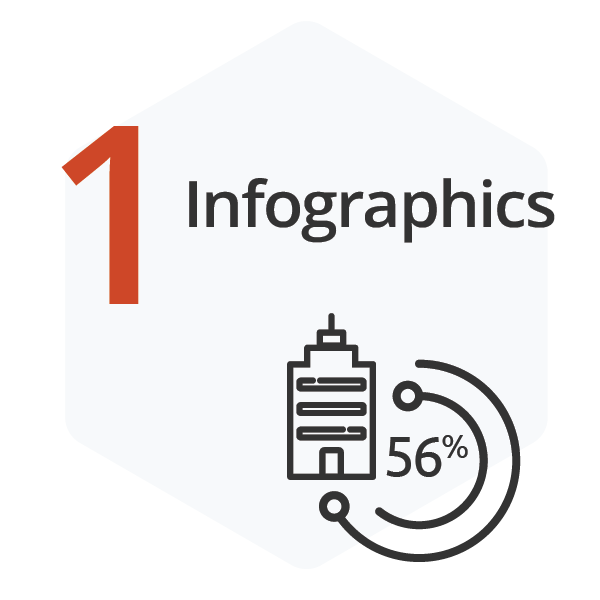 56% of businesses use infographics. 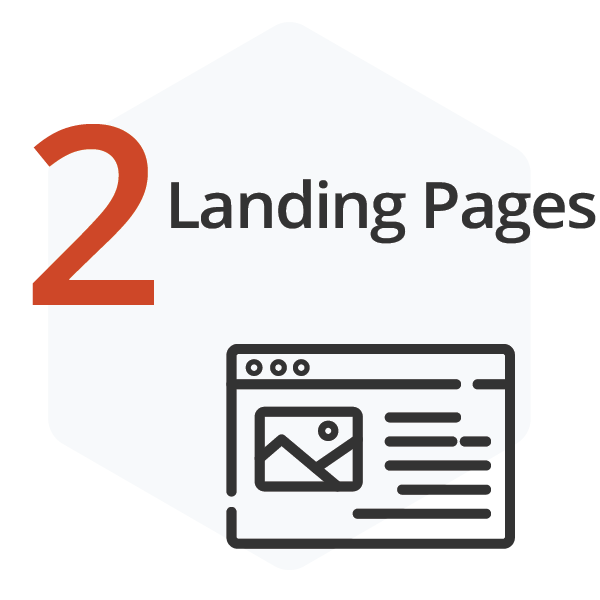 Home/Landing Pages – The human brain processes visuals up to 400% faster than text. 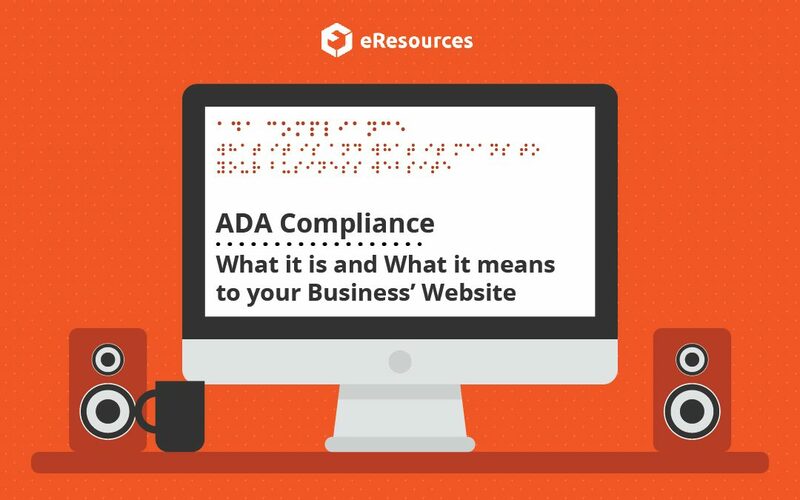 Also, and more importantly, 53% of visitors will leave your website if it takes longer than 3 seconds to load. Your copy is important but on your homepage, a single clean image and a strong logo are much more effective at minimizing bounce rate and assuring that visitors crawl your site. 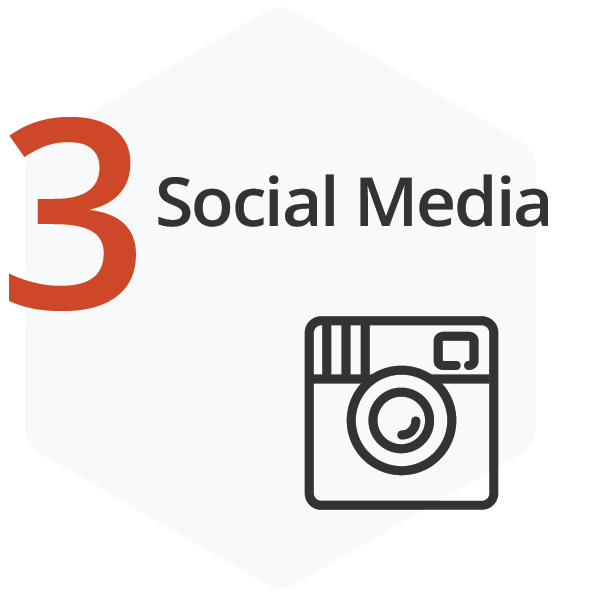 Social Media – Facebook posts receive 2.3x higher engagement when an image is attached. Likewise, tweets with images receive 150% more retweets than those without. Your business has a narrative. Try to introduce the services of your business without words. What images conjure up? If you are picturing an excel sheet or a large server room, think again. Storytelling doesn’t stop at the “subject.” Your services solve problems every day; making someone’s life easier. That’s what makes it a good story.